About 20% of Israel's population are of Palestinian Arab descent. Israeli Arabs often complain they are second-class citizens, while some Jewish Israelis fear they form a "fifth column". Who are the Israeli Arabs? About a fifth of Israel's population - roughly 1.45m people - are of Palestinian Arab descent. During the war that surrounded the creation of the state of Israel in 1948, hundreds of thousands of Arabs were forced from or fled their homes. Those who remained within what became Israel, and their descendents, have been granted citizenship and are known as Israeli Arabs. In addition there are about 250,000 Arab residents of occupied East Jerusalem. The majority have refused citizenship, so are not described as Israeli Arabs, but still have Israeli residency. About 80% of Israeli Arabs are Muslim, the rest are divided, roughly equally, between Christians and Druze. The majority of Israeli Arabs identify closely with Palestinians in the West Bank and Gaza and often describe themselves as "Palestinian citizens of Israel" and "1948 Palestinians". Israel defines itself as both Jewish and democratic, but some argue it is impossible for it to be both without discriminating against non-Jews. The Israeli government says Israeli Arabs are citizens with equal rights - although their "civic duty" differs as they are exempt from compulsory military service. It points out that Israel's Declaration of Independence promises equality for all. But one Israeli-Arab MP has described Israel as "democratic for Jews and Jewish for Arabs" and Israeli Arabs frequently describe themselves as "second class citizens". The Orr Commission, a government inquiry, concluded in 2003 that "government handling of the Arab sector has been primarily neglectful and discriminatory". And the US state department says Israeli Arabs face "institutional, legal, and societal discrimination". The largest concentration of Israeli Arabs is in the north of Israel, in towns such as Nazareth, Um al-Fahm and Sakhnin. Many also live in mixed cities such as Haifa, Jaffa and Acre. The Israeli state appropriated what the Orr commission described as "vast expanses" of land owned by Arabs who fled or were forced out in the wake of 1948. This and subsequent policies resulted in a "drastic decrease" in the land available to Israeli Arabs, the commission said. Although determining accurate figures is difficult, advocacy groups say Israeli Arabs now live on about 3% of the land in Israel, despite making up about 20% of the population. Since 1948, no new Arab towns - apart from Bedouin townships - have been founded, although the Israeli-Arab population has grown at least sevenfold. Many Arab communities were surrounded by areas used for security purposes, Jewish regional councils, national parks and highways, that prevent or block future expansion, the commission said. According to advocacy groups, some 160,000 Bedouin Arabs live in the Negev in southern Israeli, about half of them in "unrecognised settlements" which are cut off from basic services. Most of the rest live in impoverished towns established by the state. What are Israeli Arabs' living conditions like? More than half of Israeli-Arab families are living in poverty, compared to about 15% of Jewish Israeli families, and the gap is widening. For all but one of the past five years, Israeli-Arab communities have received less than 5% of government development funding each year, according to the Mossawa advocacy centre. Municipal services in many Israeli-Arab communities are inferior to those in Jewish areas, with classrooms shortages, ageing roads and a lack of local employment opportunities. Some Israelis blame lower levels of municipal tax collection in Israeli-Arab areas for the gap. The Mossawa Centre says some Israeli Arabs are unwilling to pay taxes for poor local services, but adds that Israeli-Arab areas tend to have fewer of the factories, businesses and government offices that feed municipal coffers in other areas. The US state department says Israeli Arabs are "underrepresented in most fields of employment". For example, the Mossawa Centre says only 8% of employees in government offices are Israeli-Arab and of 70,000 employees in hi-tech companies only 300 are Arabs. There is no state-funded Arabic language university. Israeli Arabs also miss out on benefits, such as housing and educational subsidies, available to people who have completed national service. The foreign ministry has said that this can outweigh the advantage gained from being able to start higher education earlier than those who serve in the military. Are Jewish and Arab Israelis equal under the law? The Israeli government says yes, Israeli-Arab advocacy groups say no. The Mossawa Centre says at least 20 laws discriminate overtly or tacitly against them. It points out that Israeli Arabs are not classed as an official minority and says Arabic, though an official language, does not have the same status as Hebrew. Muslim and Christian festivals are not national holidays; Jewish ones are. One particularly controversial law is the 2003 Citizenship Law, under which Palestinians from the West Bank or Gaza - women under 25 and men under 35 - who marry Israelis are not usually allowed to move to Israel. Palestinians over those ages are granted only temporary residency, not citizenship. Israel says the law is necessary for security; Israeli Arabs say it discriminates as it affects them disproportionately. Another hard-fought area is access to land. About 93% of land in Israel is owned by state or semi-state bodies and is then leased to citizens. Thirteen percent of the land is owned by the Jewish National Fund, which was founded specifically to buy land for a Jewish homeland. Its directors have a powerful role in the state body that controls the other 80% of the land. Israeli Arabs have long complained of difficulties in leasing this land. Three legal cases since 2000 have, however, set precedents with rulings that neither the state nor local residents' committees can block the leasing of land on the basis of race. But MPs have tried to use legislation to overturn the rulings, and advocacy groups say it is still, in practice, difficult for Israeli Arabs to lease much state-controlled land. Where is their role politically? Israeli Arabs were under military rule until 1966. Independent Arab political parties did not emerge until the 1980s and 1990s. There are currently 13 Israeli-Arab members in the 120-seat Knesset, (10 representing primarily Arab parties). Israeli Arabs are frequently dubbed a "fifth column" in Israel, particularly at times of heightened tensions with the Palestinians such as the second intifada or recent Gaza conflict, when Israeli Arabs held protests. Some Israeli Arabs do not participate in national elections as they do not believe their vote will change anything, or do not wish to recognise the Israeli state. 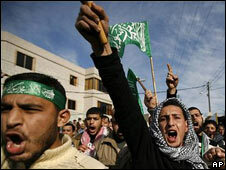 An Islamist group called the Islamic Movement champions the latter position, although it participates in local polls. A handful of Israeli-Arab leaders have been investigated for visiting Syria - with which Israel is still technically at war. Accusations of incitement are frequently traded between Israeli-Arab and right-wing Jewish politicians. What is the Israeli government's position? The Israeli government points out that, since the creation of Israel, Israeli Arabs have seen dramatic gains in areas such as education, health care and areas such as women's rights. It says other factors, such as large families and the low level of female employment, as well as discrimination, contribute to the lower socio-economic position of Israeli Arabs. The Orr Commission was established after 13 Israeli-Arabs were killed by police trying to quell riots as the second Palestinian uprising or intifada broke out in 2000. The commission found police incompetence, a history of discrimination and also incitement by Israeli-Arab leaders had all contributed to the incident. Israeli Arabs were angered that police involved in the deaths did not face trial. The right-leaning government of Prime Minister Benjamin Netanyahu includes a minorities minister. It has announced a $40m fund for joint state-private sector investment in minority businesses. But coalition members have also proposed two controversial bills. One demands Israeli Arabs pledge allegiance to Israel as a Jewish state. The other initially sought to ban marking the Nakba, the term meaning "catastrophe" that Palestinians use to describe the creation of Israel. It has been watered down to stop state funding for activities which reject the existence of Israel as a Jewish state.